If you are a fan of writing and want to pen down your thoughts or anything else for that matter, you should try the collection of diaries and calendars at Giftwrap. Offering calendars, diaries and personal organizers, if you want to write something down or want something for easy and simple storage, you probably can decide to choose one of the offerings at Diaries and Calendars. 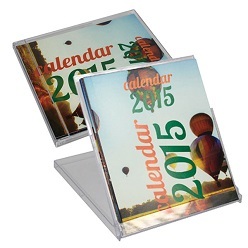 As far as the calendars are concerned, you can find calendar fridge magnets, desk calendars, tent calendars, perpetual calendars and CD case calendars. All calendars serve a different purpose and should be brought for different purposes. As far as the diaries are concerned, Giftwrap offers A4 diaries, A5 Diaries, and Personal Diaries. You can find a lot of variety in all of these three categories. For instance, in A4 diaries, you can find A4 spiral bound diaries and the A4 metal cover spiral bound diary. 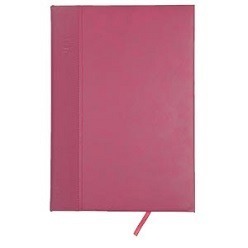 Moreover, as far as the A5 diaries are concerned, you can use the A5 promotional diary, the A5 spiral-bound diary and the A5 metal cover spiral bound diary. Finally, you can even get the personalized diaries for adding a tinge of personalization in your efforts. You can find the A5 PP Personal Organizer, the A5 Zip Around Leather Organizer, and the A5 Leather Organizer to write personalized notes. Whether you want a diary to write something regular or want something personalized, you can easily find a good diary at Giftwrap, in their diaries and calendars section. All diaries are different with respect to their page type and design so be careful when you make your final choice of selection.